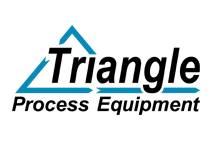 Speak with a Dedicated Process Equipment Representative Today! Triangle Process Equipment offers a robust line of specialized stainless steel and disposable process equipment for use in the pharmaceutical processing, beverage manufacturing, food processing and cosmetics manufacturing industries. 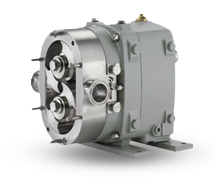 We can deliver a pump for every sanitary application — from heavy-duty centrifugal pumps and lobe pumps that assure sterile processing, to piston pumps for use with high viscosity materials. 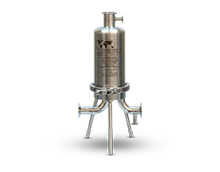 Our heat exchangers and sanitary valves are designed to be durable and easily cleaned. We also offer a line of complimentary process equipment components and accessories that includes gaskets, hygienic hoses and tubing. 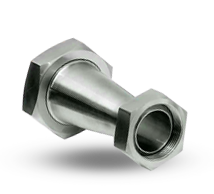 Our stainless steel tubing fittings and sanitary hose crimp fittings are precision machined, resulting in trusted hygienic performance in the pharmaceutical manufacturing, food and beverage, and cosmetics industries. 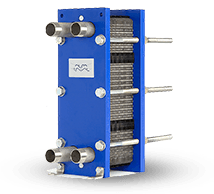 Our stainless steel heat exchangers including gasketed, shell, tubular, scraped-surface, electrical resistance, plate condensing and plate evaporating ensure the efficient and consistent transfer of heat from one component of your process to the next. 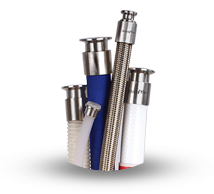 From silicone tubing to stainless steel PTFE hoses, our hoses, tubing and disposable process components ensure sanitary fluid-handling for the pharmaceutical manufacturing, biotech, biopharm, food, beverage and cosmetics industries. 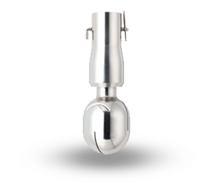 Our sanitary agitators and mixers are easy to clean and accommodate a variety of applications — from gentle to high intensity mixing — for the pharmaceutical manufacturing, biotech, biopharm, food, beverage and cosmetics industries. Whether you need assurance of sterile operation or an economical solution, our stainless steel and disposable pumps dependably drive production in any sanitary processing application. Our selection of sanitary tank equipment including stainless steel tanks, plastic tanks, manways, weighing systems, sight glasses and tank lights ensures reliable containment, access and monitoring of product processing. 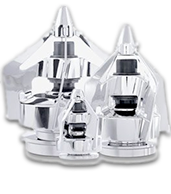 Rely on our selection of stainless processing valves — including hygienic diaphragm, sanitary, radial diaphragm, aseptic and check valves — as well as actuators and automated valve units to efficiently control your product flow in a sterile and simple to clean manner. Our turn-key process skids, complete upstream and downstream process suites are available in standard and custom-built configurations. We also develop large, modular “super skids,” sanitary skids for hygienic applications and general processing skids that facilitate a wide range of processing applications. 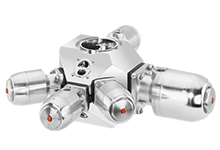 With inline and T-style configurations available, as well as a selection of replacement components, our single round, sanitary filter housings are designed to meet the hygienic filtration demands of the pharmaceutical and biotech industries.